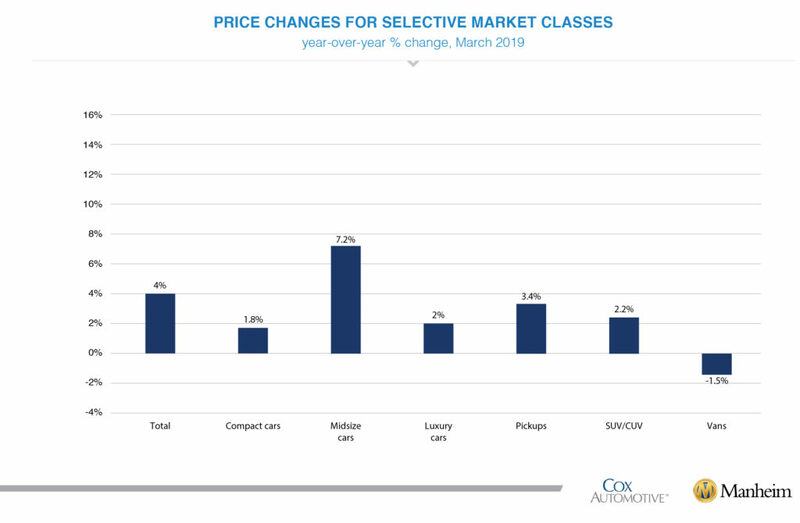 Wholesale Prices Rebound With Start of Spring Bounce - Cox Automotive Inc. The March Index increased to 136.0, a 4.0% year-over-year increase. 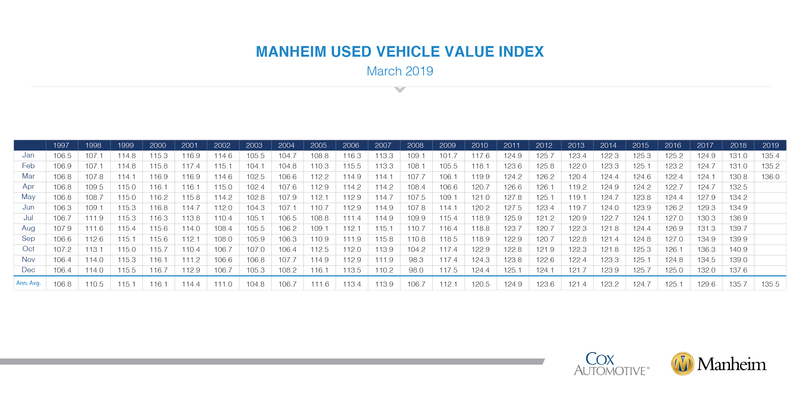 March increases in used-vehicle values offset drops in January and February declines. Midsize cars outperformed the overall market, while all other major segments underperformed the overall market. Combined rental, commercial, and government purchases of new vehicles were up 4.5% year-over-year in March, and up 16% month-over-month. Rental (+2%), commercial (+11%), and government (+7%) fleet channels were up year-over-year in March. 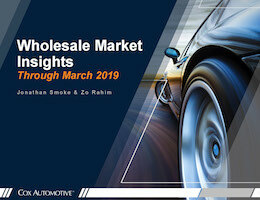 New vehicle retail sales were down 4% in March, leading to a retail SAAR of 14.0 million, down from 14.1 million last March. Rental risk pricing improves. The average price for rental risk units sold at auction in March was down 1% year-over-year. Rental risk prices were up 2% compared to February. 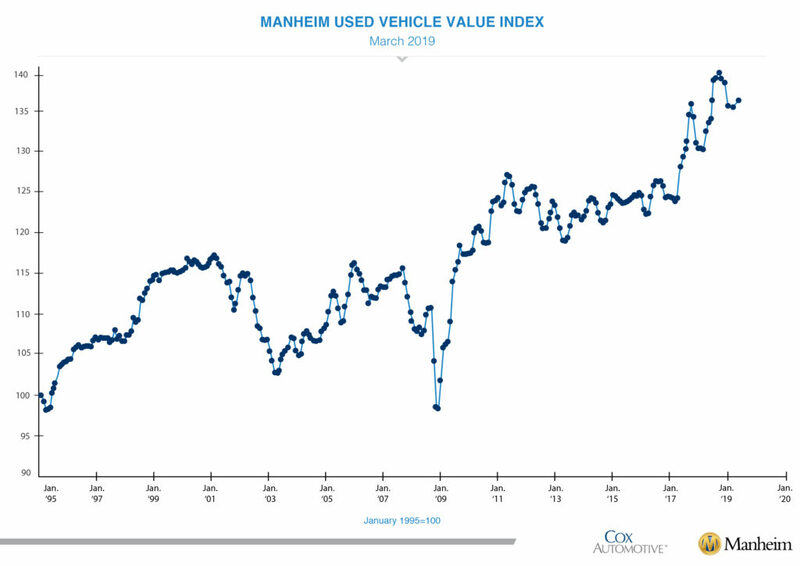 Average mileage for rental risk units in March (at 45,200 miles) was up 0.4% compared to a year ago and up 1% month-over-month.